Getting from A to B in style and with ease has never been so quick, easy and affordable. The Benelli Classica LX is ideal for those who enjoy cruising around the city in comfort without compromising style. The unparalleled design of The Classica LX leaves bystanders staring. The LX has smaller wheels (26 inch) which makes it easier to mount and dismount the bike, while the sturdy aluminum frame ensures reliability and comfort under any conditions. 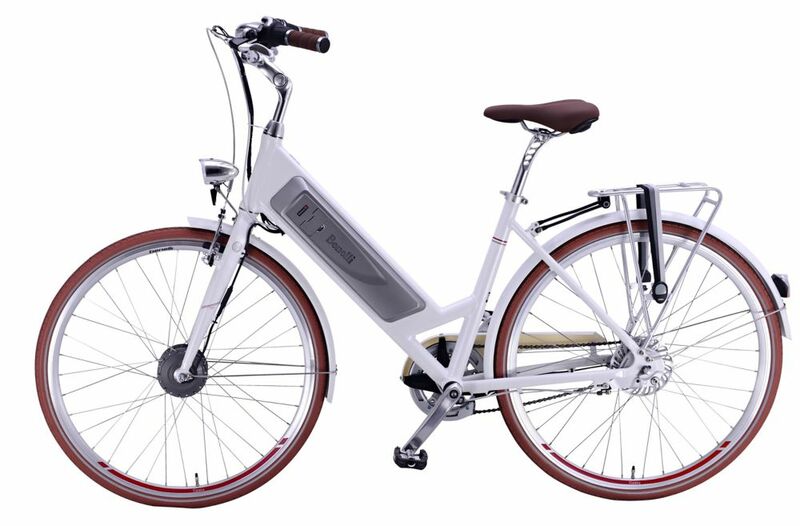 Classica LX 26 inch White Electric Bike Getting from A to B in style and with ease has never been so quick, easy and affordable. The Benelli Classica LX is ideal for those who enjoy cruising around the city in comfort without compromising style. The unparalleled design of The Classica LX leaves bystanders staring. The LX has smaller wheels (26 inch) which makes it easier to mount and dismount the bike, while the sturdy aluminum frame ensures reliability and comfort under any conditions.